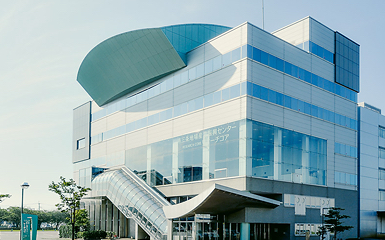 The Regional Industries Promotion Center was established in 1988 thanks to the financial contributions made by the industry of Niigata Prefecture Tsubame City and Sanjo City and the Tsubame-Sanjo region which made possible its foundation. (4) Establishing local brands, etc. Within the facility, there is a sales office and a restaurant serving local products so please don’t hesitate to use it. Establishing preparation room for construction of the local production center. Central Niigata Prefecture Regional Industries Promotion Center established. Industrial Reseach Institute of Niigata Prefecture Kenoh Technical Support Center established. Credit Guarantee Corporation Kenoh Branch established. Sanjo-Tsubame Customs Branch Guard Post in Niigata Branch Customs established. Research Core Construction Preparation Office established. Sanjo Tsubame Area Research Core construction begun. Sanjo Tsubame Area Research Core construction completed. 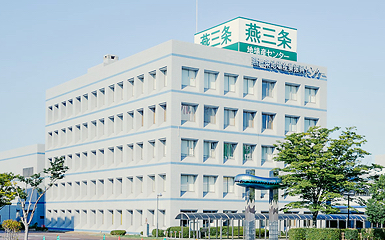 The foundation name was changed into TsubameSanjo Regional Industries Promotion Center. Changed into General Incorporated Foundation TSUBAMESANJO Regional Industries Promotion Center. Public Interest Incorporated Foundation TSUBAMESANJO Regional Industries Promotion Center.